We are temporarily departing from our series on the “Joy of Theology” to take up a special issue. Rachel Held Evans put forth a challenge to men to write a “blog post that highlights the feminine images of God found in Scripture or that celebrates the importance of women in the Church. (Be positive and be creative! ).” This is in response to John Piper declaring that “God has given Christianity a masculine feel.” As a man, I could not help but rise to the challenge! “As a man…” Well, that just stopped me in my tracks. “Who am I?” A personal note: I have never felt like a very masculine man. I never played sports, never was buff or even fit, or ever lived up to the masculine identity that television and Hollywood projected. So, I’ve always felt disconnected from masculinity, knowing that biologically I am a man, but not feeling manly. 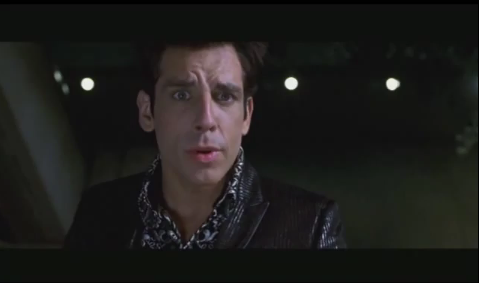 The man Derek Zoolander joins with the human race in asking the eternal question: “Who am I? And so, I was always pegged as the sensitive, emotional type, types that traditionally are not ascribed to masculinity. I am sensitive. Men are tough. I am emotional. Men don’t cry. I am in touch with my feelings. Men don’t feel. But in my life’s journey in becoming comfortable and confident in my identity as a man, I have been encouraged by the Biblical witness to the fullness of manhood and womanhood. A full manhood lives in the reality of masculine and feminine identity, and a full womanhood lives in the reality of feminine and masculine identities. I see Biblical people as living out their identity in the reality of the fullness of genders, in the fullness of the image of God, and not as isolated towers of masculinity or femininity. Was Rahab any less feminine and more masculine to aid the Israelites in the capture of Jericho? Was Deborah any less feminine and more masculine to lead Israel to victory? Was Esther any less feminine and more masculine for saving the Jewish people from genocide? Was David any less masculine and more feminine to dance before the Ark of the Covenant? Again with David, was he any less masculine and more feminine in his friendship with Jonathan? Was the Beloved Disciple any less masculine and more feminine to lay his head upon Jesus’ chest? Some will argue: yes. But I disagree. I see these examples of people living in the fullness of their identities, perhaps even in counter-cultural ways and coming before God in celebration. It’s actually the last illustration that means the most to me, and in this I see the best example of relinquishing our strongholds of identity and collapsing into the love of Christ. The love of Christ invites us to lay our heads upon his chest in adoration and security. It invites us under his wings like a mother hen gathers her chicks (sound familiar?). All in all, God invites us to be the bride of Christ, and enter into holy union with our Creator. So, in one sense I am saying that our relationship with God is bigger than our gender, but in another sense I am saying that we love God within an engendered culture and regardless of our gender. But we can be free from the cultural constraints on our gender identity. So am I suggesting an abandonment of the masculine and feminine? No, that would be a fatal mistake. What I am arguing for is for recognition to the openness of our genders in expression of love and worship of God. What I am arguing against is “gendermandering” the Bible, theology, and spiritual experience. That means that the Christian experience cannot be masculinized or feminized; it depends on the unity of the masculine and feminine in the reality of the unity of the image of God. We should recognize our worship of God in light of who God made us to be. We worship God regardless of our gender, and we cannot allow our gender to become the norm of how we interpret the Bible, theology, and spiritual experience. Rather, we must be open to the fullness of how and who God created us to be in the unity of our masculine and feminine identities. In sum, this reply to Rachel Held Evans may not have directly addressed her challenge. However, I wanted this to be a demonstration of whence I come to the discussion of gender, the Bible, theology, and spiritual experience. In light of my personal experience, I want to break down the strongholds gender has placed on theology and open the floodgates to the experience of God in light of and regardless of gender. Filed under A Feminine Masculinity?